With over a quarter of a million plays on Soundcloud, and over 300,000 Youtube hits, festival showcases, national media attention, and the successful release of his debut album (The Gold Blooded LP), DOEMAN and his D.Y.N.A. (Deprived Young Now Ambitious) movement is on the rise. At 20 years old, Joseph DOEMAN Gonzales is rapidly moving up the Texas Hip Hop ranks. In the true spirit of South by Southwest, the Houston native performed nine unofficial shows at SXSW 2014. Since then, the young rapper has opened for Big Krit, Slim Thug, and Kirko Bangz. Along with releasing his debut full-length album in 2014, as well as performances at the A3C Music Festival in Atlanta, DOEMAN’s own Pandora station was launched (DOEMAN Radio). DOEMAN will be an official artist at SXSW 2015. 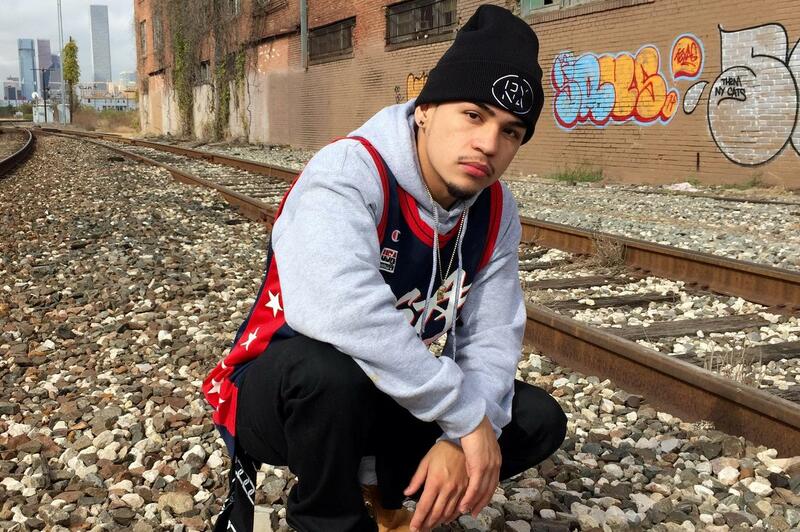 DOEMAN’s musical influences include Sunny Ozuna, classic Motown, Slick Rick, Big Pun, and 2pac. His sound fuses the grit and pure energy of hip-hop with the sentiments of legendary artists who spoke and sang about the reality of the lives they lived. DOEMAN was a featured artist on the “Republic of Texas Tour” presented by Grammy award winning and platinum music producer Nathan “Happy” Perez. The six city tour, featured artists curated personally by Happy Perez. DOEMAN opened for Wale in February 2015. DOEMAN released his “$TEREO TYPE$” EP on February 25, 2015. DOEMAN will also be on a Texas tour with Freddie Gibbs in early March. -Shea Serrano, ESPN’s Grantland, October 9, 2014.